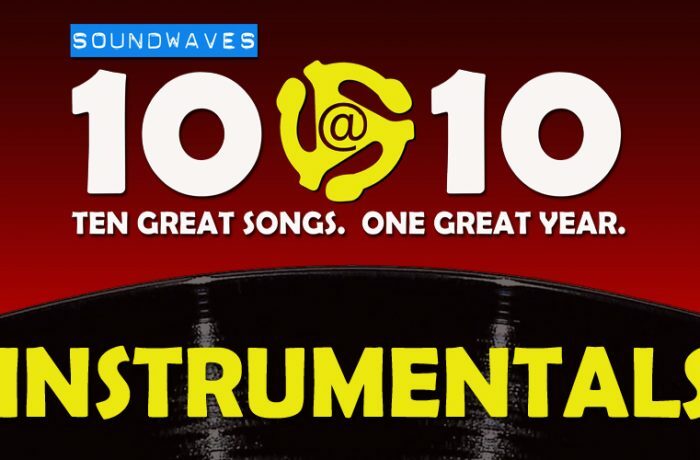 10@10 is the beloved long-running radio show that features ten great songs from one great year, as well as numerous samples of political, historical and pop culture happenings. 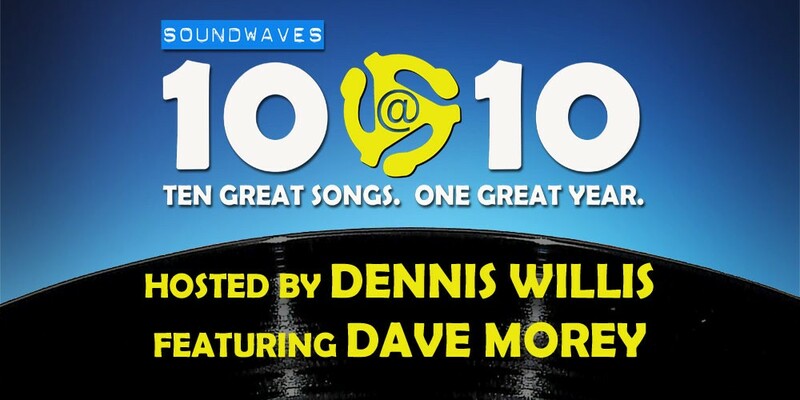 Hosted by Bay Area media personality Dennis Willis and featuring original 10@10 host Dave Morey, Soundwaves 10@10 is the ultimate pop culture celebration loved by thousands of devoted fans. 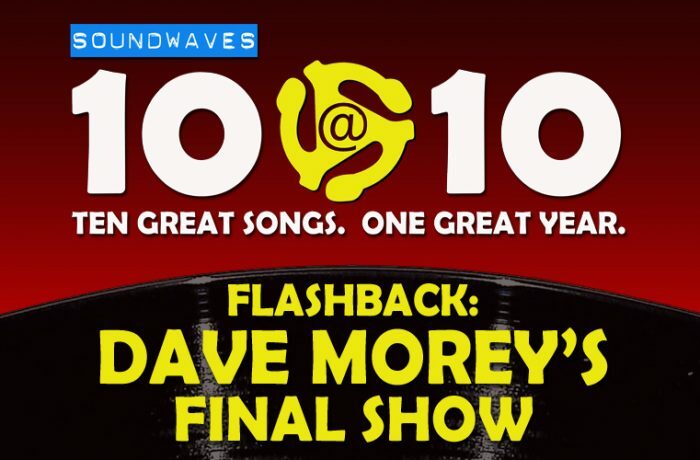 Hosted for nearly two decades by radio icon Dave Morey on San Francisco’s KFOG 104.5, the wildly popular program was unceremonious shuttered when KFOG’s format changed on March 31, 2016. But terrestrial radio’s loss is everyone’s gain! “When you think Bay Area radio, you think 10@10,” Willis said. “And when I personally think 10@10, I think Dave Morey. So believe me when I say this is an honor and a thrill to bring back a beloved program with blessing and assistance of the guy who created it.” To be fair, 10@10 enjoyed a fruitful run after Morey’s retirement under the stewardship of (phenomenal human being) Annalisa. Listeners can vote for Best of Set, and make requests; and as opposed to the old radio days, fans can listen to 10@10 any way they want – on the go, in the car, as well as share with friends through social media! 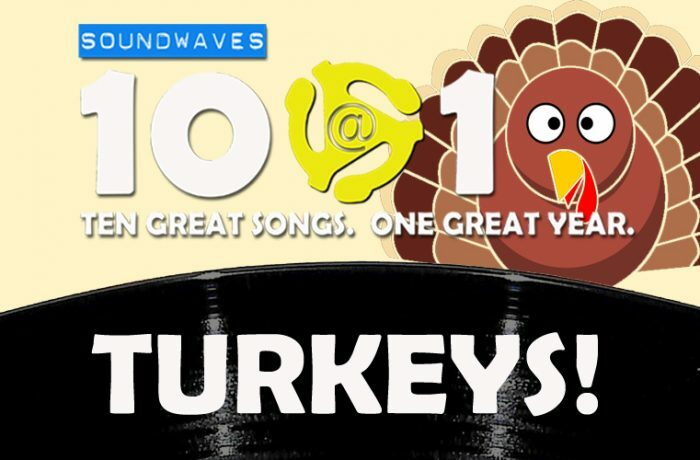 For almost as long as 10@10 has delighted music fans, Soundwaves has been entertaining the Bay Area with award-winning music programming ranging from a weekly TV program (500 episodes between 1983-2008), Soundwaves Xmas, an annual holiday music-based TV fundraiser, the weekly 80s-90s throwback radio show Soundwaves FM; and a popular website, soundwavesTV.com. 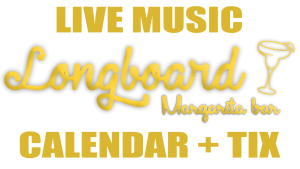 In addition, the show is the subject of the forthcoming documentary Welcome to Soundwaves. Hey Dave! Best of luck to you at your new home-I’m sure the WXTF gang will miss you but you planted the radio seed and hopefully it will grow. 20 songs for the same low price??? Its like Christmas in February! You’re getting a little crazy over there!